The Northeast Regional Library opens this spring! 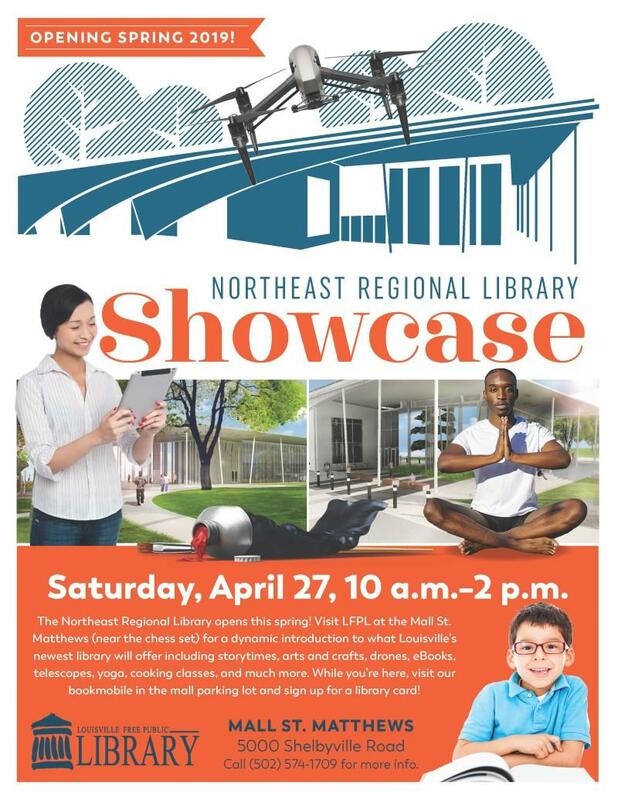 Visit LFPL at the Mall St Matthews for a dynamic introduction to what Louisville's newest library will offer including storytimes, arts and crafts, drones, eBooks, telescopes, yoga, cooking classes and much more! While you're here, visit our bookmobile in the mall parking lot and sign up for a library card!